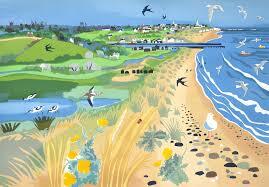 volume Norfolk Gems is a desire to showcase a remarkable diversity of printmaking approach. Even within the main disciplines, namely woodcut, linocut, wood engraving, etching, mezzotint, drypoint, engraving, screen printing, collagraphs, lithographs and monoprint/monotype, there are great variations of technique and style. Several of the artists whose work is included in the book are regular exhibitors at cambridge contemporary art, amongst others Carry Akroyd, Gail Brodholt, Robert Greenhalf, Celia Hart and Glynn Thomas.